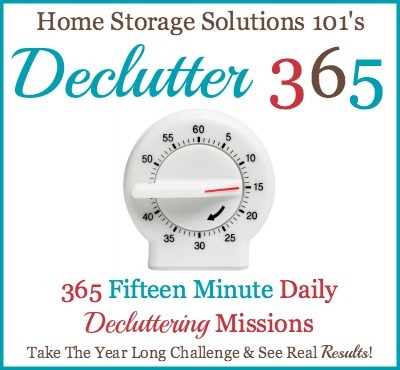 Do you want to be more organized for the New year? Do you want to be able to finally get some of those projects crossed off your list? Do you want to have some me- time. 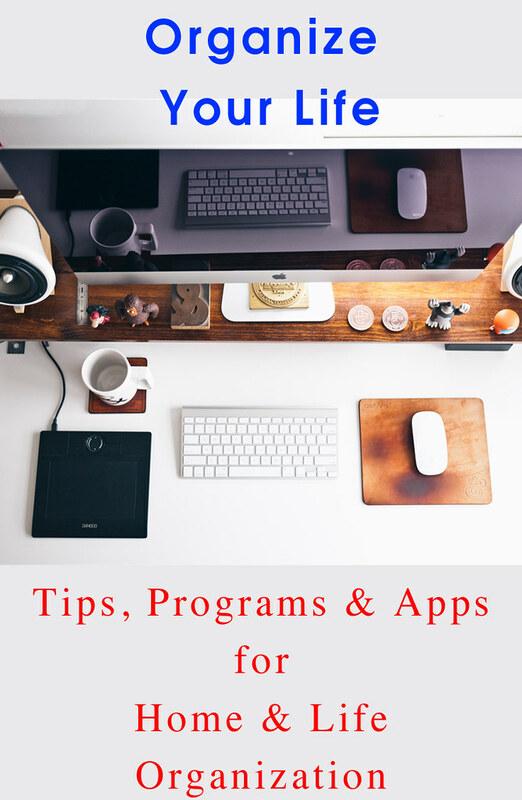 Today I am going to share some tips, some favorite apps, and advice to organize your life. The home and where we live really is the center of it all, if our home feels out of control, messy and chaotic, our life will probably feel the same. There are a lot of great systems or ways to keep your home clean, what matters is that you find what works for you. This is a FREE printable calendar that breaks the home into little tiny areas, that you can spend just 15 minutes a day decluttering. Yesterday, for example, the challenge was to clean out the silverware drawers. The idea is, for it to be something small that you only have to spend 15 minutes on, and by the time the year is done your entire house will be decluttered. Do you have stacks of papers, piles of bills, forms from the school that need to be filled out? What do you do with these papers? To keep my counters (and e-mail in-box) clean and clear I follow the Power of Mom's MOM Organizational System. This system is based on having a place for everything, from papers, to e-mails to even ideas in your head. When I get papers and forms, I drop them in the in-box. Mine is just a little basket on top of my file system. Then when I get the chance during the day I sort those papers. If it is something I can quickly take care of (less than 2 minutes) I take care of immediately. (permission slips to be signed, junk mail to throw away). The other things I organize into my immediate slot, important slot, someday, or my kids respective slots. I love having a slot for each of my school age kids as there are things we need easy access to all the time. For Lucas, his Scout book stays in his slot. Then on Tuesdays when we are running out the door to Scouts we know exactly where his book is. The kids weekly homework packets go in their slots; it makes it so easy and helps us never scramble wondering where their homework went. I have the same system with electronic folders for my e-mail. I have an immediate action, an important, someday, etc. I also have a "coupons" folder, that way when I get those e-mails from Michaels or JoAnn's, I just drop them into the folder, then when I am at the store, I can easily open that folder and pull up my electronic coupon to be scanned. Now that we have some things in place to get things clean, how do we keep it clean? I like to use the Home Routine App. It has a daily mourning routine and evening and also weekly routines. It also has the weekly Zones- fits perfectly with Fly Lady. 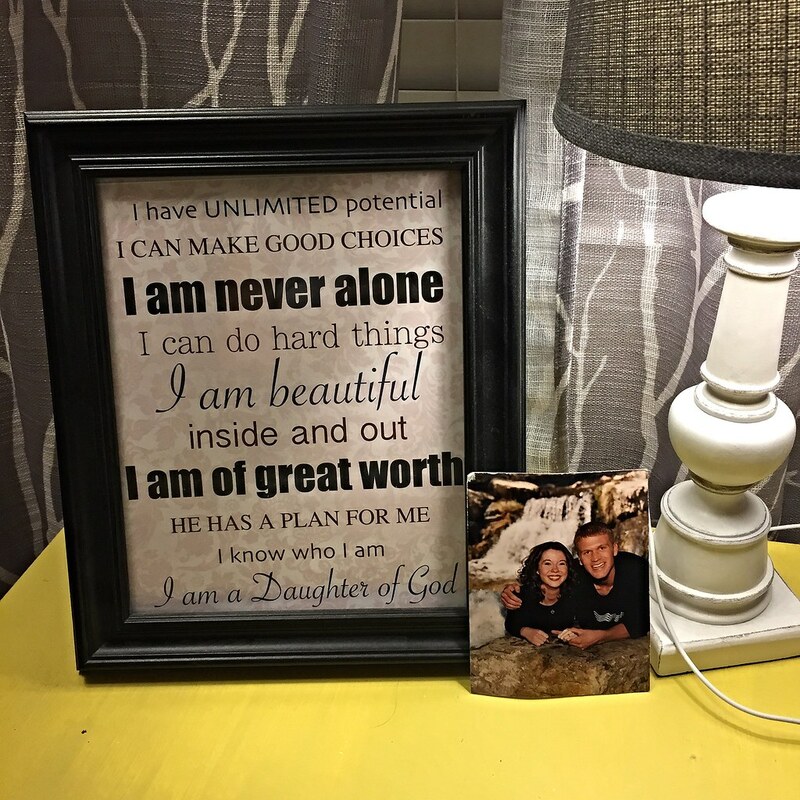 Each morning, it reminds me to make my bed, start a load of clothes in the wash, unload the dishes, read my scriptures, and spend 15 minutes in the focus zone (you can customize to what you want to do in the morning). These 15-minute zone cleans are separate from the15 minute Declutter Challenge. The app even has a timer you can set to keep you to the 15 minutes. Do you have kids to run to practices, supplies you need to buy for school projects, something you need to remember to bring to school? How do you remember it all? For me, I utilize the skills for organizing that I learned through the Power of Mom's MOM System and use the To-Do App to keep track of it all. Some people like to have a family calendar with different colors for each person, for me personally I like to have it all digital. The biggest trick of keeping track of it is simple... Write it ALL down. Pajama day at school- write it down. Long term project due- write it down. I use a combination of my Calendar APP and the To-do App. For things that have to happen on a certain day, appointments, piano lessons, etc. I write those on my calendar. 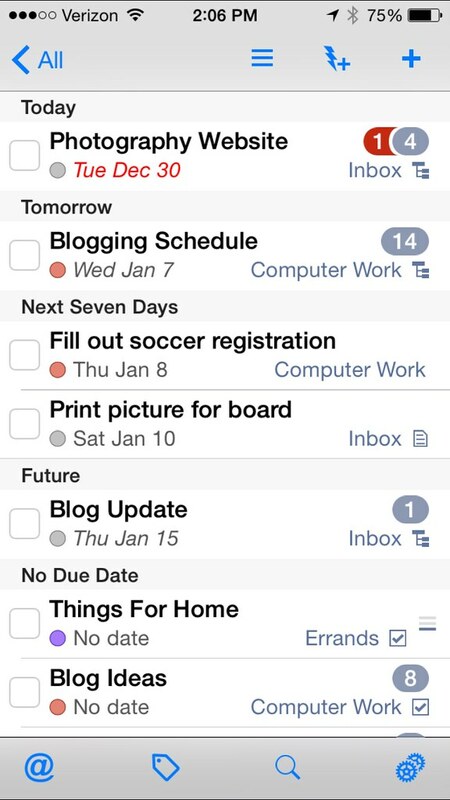 For things that have a due date but need a little prep work, or for things that the date can vary I use my to-do app. For example, soccer registration is this month on January 10th. On my calendar, I put "soccer Registration" on Jan 10th from 9-2 PM. In order to be able to actually register my kids, I need to fill out the soccer registration forms; so on my to-do App, I make an event for "Fill out registration" and set the due date for January 8th, that way it will be filled out two days before I need it. 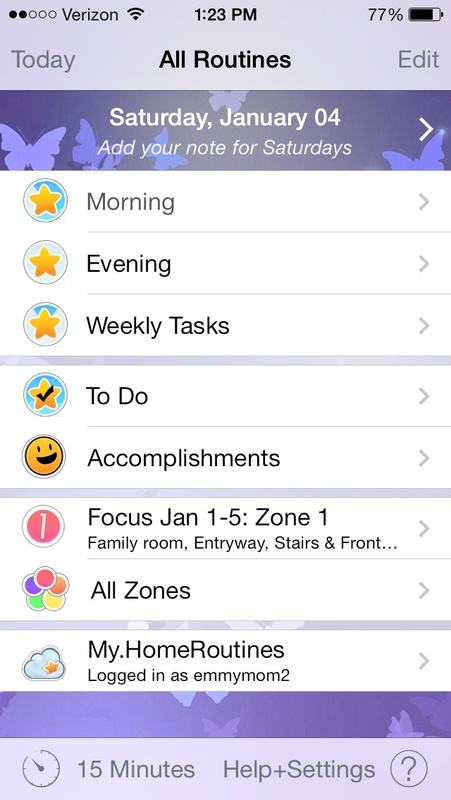 With the To-do App (I have version 6) you can also categorize things, in errands, phone, computer work, home, etc. So when I am out, I can pull up all of the errands, or even my shopping list and remember what things I need to get while I am out. I also use my To-do App to keep track of projects I would like to do someday, or things I want to buy someday. These things don't have any assigned due date but are there for those times where I might have some extra time and think, "I know there was something I wanted to do what was it?" I no longer have to sit and wonder as I can just pull up my app and see. You don't have to have a phone or an App to do all of this, you can have these kind of lists and reminders in a paper planer, or on your computer- whatever works for you. The key is to write it all down so you can have a clear mind; that way you are not always stuck in your head thinking, "what am I supposed to be doing?" and can be present in the moment. I am such a hit and miss cook; I go through phases where I love it and love trying new recipes, and then I just get sick of it and want to eat out all the time. That however, is impossible and really I don't want to eat out every night. I recently started using the PepperPlate App. This is a Free app that actually syncs between your computer and the App. You can add a recipe on-line (just paste the URL of a recipe you want to use) and it will show up on you phone. You can then pick which day you want to have that meal and add it to your shopping list. It lets you pick which ingredients you want to add (you don't have to add salt to the shopping list if you already have it), and it sorts the food into categories automatically (dairy, produce, meat, etc). You can also add your own recipes and add whatever you want to the shopping list. I am loving it so far and there are more features, like the timer, that I haven't even used yet. 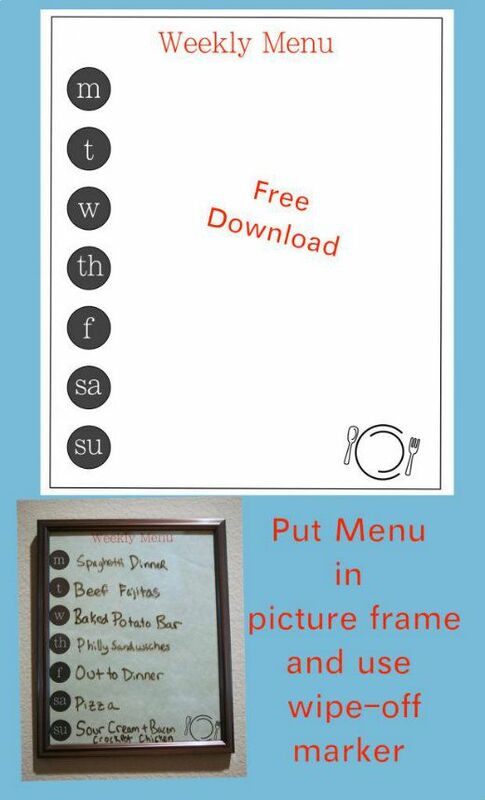 If you like a menu for all to see, hanging in your house, I made this fun printable (which you can download at this post here), and stick in a 8x10 picture frame, then just write on the glass with a wipe off marker. In the end, no matter how organized your home is, no matter how good you are at sticking to a list, if you do not know who you are and what life means to you, you will never feel truly happy. It is so easy to get caught up in wanting the perfect home, wanting the perfect family or perfect pinnable dinner, but at the end of the day, does this really make you happy? For me, I need to pause and remembering what really matters, what life is really about. To strive for not just the good, but the best. Is it good I did laundry today, yes. Would it be even better if I actually put that laundry away? Yes! Is it good I got some drawers cleaned out and organized, yes- would it be even better if I let me son help me organize and spend time with him- Yes. I have this quote by my bedside that I love looking at every night. For each of us, we need to find that one thing, that philosophy that belief that grounds us and helps us focus on who we truly are and who we really want to be. It is only when we keep this in mind and in our hearts that everything else can fall into place. What helps you stay organized? Do you have any tips or tricks you love to use? Would love to hear what works for you. ** I am an affiliate of the Power of Moms. I became an affiliate AFTER I started using the MOM system and fell in love with it and all the Power of Mom's shares. I can imagine that being a mom of three sort of necessitates this level of organization! But how in the world do you even keep up with all of this? You're like wonder woman! Thanks soooo much. Pinning for later for sure. Can't wait to start doing some of these. I definitely am working on getting myself more organized and getting rid of the clutter in my life. And I don't even have kids, so I have much less of an excuse! Now that I am better (or at least getting better) I can start applying all of this. Back in the day I was once quite organized. I need to bring her back! Yes, piles are definitely my biggest downfall- so this truly does help. I'm on a purging and cleaning kick....must be the new year! OOOO I LIke it. I need organization for sure. I like that paper filing system. We recently started using a menu planner a few months ago and we've saved so much money and are super less frazzled at dinner time. I love that filing system, I am in desperate need of a change in mine! totally love the quote and that app sounds amazing! Wow this was impressive! I need you to do this for me! Lol! You could totally do it, I have no doubt. It is a bit overwhelming to start at first, but then once you are going it makes everything easier. Great ideas! 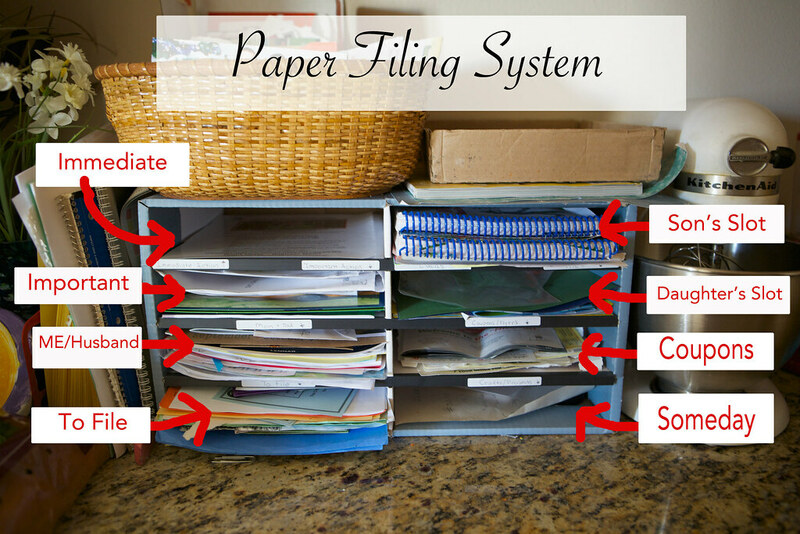 I especially like the paper filing system and it is one area of our home that needs to be worked on! Thank you so much! It is so easy to just let papers stake up. Yes my phone lives in my hand way too much, so it really is the way to go for me. I have had a bit of a rough start to it this year, especially the declutter challenge, but I am not giving up! That is awesome! I really do think there is so much offered today that it really becomes overwhelming and depressing, when we slow down and enjoy it makes it all better.